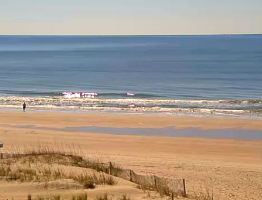 Your search for the perfect oceanfront hotel in Ocean Isle Beach, North Carolina has been found! Welcome to the Ocean Isle Inn, let us start your next memorable beach vacation on the right foot. We top other oceanfront hotels in OIB starting with the friendly faces you will meet at our front desk. From there you will have complete access to the full amenities our hotel provides. To start, Ocean Isle Inn offers you a deluxe continental meal with an amazing selection of hot and cold breakfast food. Our oceanfront accommodations allow you to experience an incredible sunrise right on the beach. You can then take the kids fishing at the local pier, or catch a glimpse of the dolphins playing in the surf. Relax and sunbathe on the sundecks or take a stroll around our quant island. We also have a heated indoor pool, an outdoor pool with a beautiful ocean view and Wifi. Once the day ends, take the moment to catch one of the most famous views that Ocean Isle Beach has to offer...our amazing and peaceful sunsets from your own private, oceanfront balcony. Book your room today! 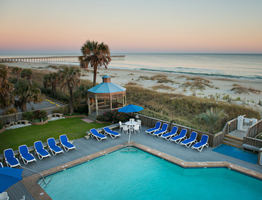 Ocean Isle Inn is a oceanfront resort located right in the heart of the island and next to the Ocean Isle Beach pier. Our historic home will keep you and your family entertained with trips to the art galleries, fine dining, or take in a show at the many live music events nearby. Explore a local museum or enjoy the sites of the surround local shops, both on the island and on the mainland. And you can’t forget the local cuisine. Enjoy a relaxing dinner at the famous Jinks Creek or enjoy a burger with the family from one of our many burger joints and grills. Or you can take in a light meal before swinging by one of our island ice cream parlors where the entire family can try new and delicious treats. Our ocean inn is also just an hour away from Myrtle Beach, SC and their famous golf courses, beachfront attractions, and shopping. There is always something to do during your vacation but if you are looking to really melt away the stress, there is always the unspoiled, white sandy beaches of Ocean Isle Beach, NC. Ocean Isle Inn also provides wedding packages for those planning their dream destination wedding on the beach. 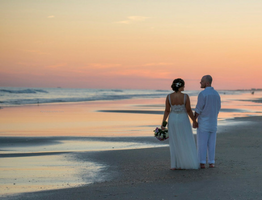 OIB is the perfect destination for couples wanting that sun setting over the ocean backdrop or just the sounds the waves cheering for you and your partner’s new beginning. We can accommodate wedding ceremonies for the intimate couples that just want to keep their day to themselves all the way to the larger 60 guest ceremonies. We can provide decorations, tables, chairs, DJ’s, custom wedding cakes, and more, all to make your day the most memorable day ever. Just image the waves in the background as you and your partner exchange vows. The cameraman capturing the perfect sunset backdrop as you share your first kiss. Then it is off to the private garden where a tastefully lite gazebo illuminates the reception, waiting for your first dance. 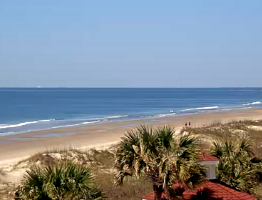 The perfect day will start and continue right outside the gorgeous Ocean Isle Inn hotel. Check out our wedding packages or call to speak with one of our trained wedding planners today! Start planning your best vacation ever with our Trip Planner and check out the average temperatures on our Weather page. Have a question about your upcoming trip? Feel free to look into the FAQ page or just give one of our travel specialists a call at 800-352-5988. 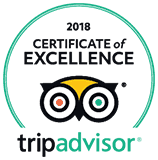 We are not like other hotels in on the island, we are an experience like no other. Ocean Isle Beach, NC may be your destination but Ocean Isle Inn is where your vacation will truly begin.